Not in my experience! Scrum seems to have been invented by agile apologists, working within a heavily Waterfall-oriented corporation, desperately trying to convince the management that agile != anarchy. Too harsh? My biggest problem with Scrum are the numerous meetings… sprint planning, backlog grooming, sprint review, sprint retrospective. And that’s before we mention the daily standups that we struggle to keep under 15 minutes (because, hey, we’re all human). After all those meetings, there’s barely time to do any actual real work. Additionally, many of these meetings are unimportant if you are practising pair programming. Scrum is great for “meeting moths” (you must have seen them – they’re in nearly every meeting you go to, but never contribute), but it’s an anathema for developers. I have personally found both XP and Kanban to be a far more efficient methods of helping you “do agile software development”. 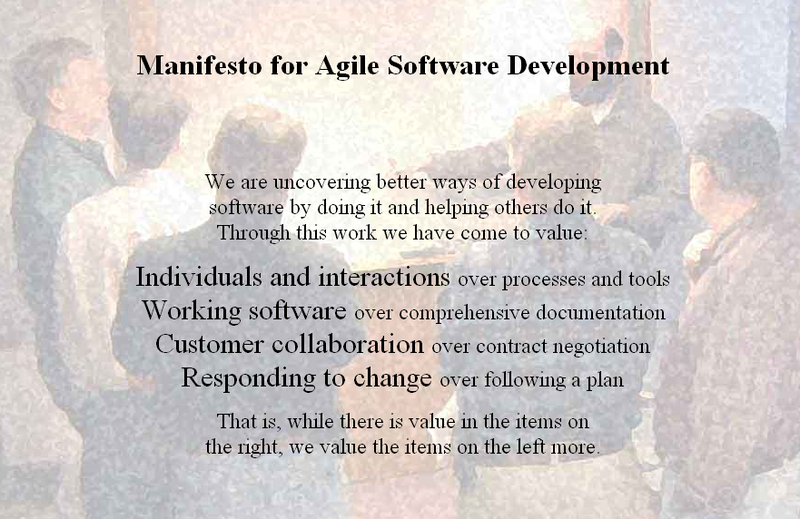 I cannot agree more on SCRUM…! Being right now at an organisation which has literally shifted to scrum overnight and has agile coaches in… its a meeting nightmare… my calendar is now barking at me multiple times per day, retrospectives, planning, refinement\grooming, team rallies, multiple show and tells and the daily stand ups.. The history actually Scrum is a stripped down XP or in other words Scrum is XP without engineering practices. XP also have those meetings in Scrum, they are just called differently – Planning Poker, Customer Demo, Daily Standup and Retrospectives. XP is actually harder to do properly. Most organisation who actually said they are doing XP actually only cherrypicked several XP pratices. You are right that there are various perspective on whether there are co-relation or even dependency between the two. You mentioned one is of the enabler of the other and seeing response of can you be agile without embracing devops – I have a more frustrating question because I felt devops have been misled by so many (for their own beneficial definition) and more worrying – can you claim to be having devops culture but have no relation to “being agile” and can you successfully build a devops culture and harness the benefit in a non agile environment and framework?